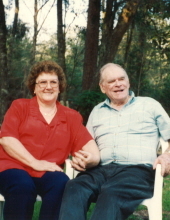 Grace JoAnn Smith, age 80 of Beaumont, Texas, passed away Monday, April 8, 2019. She was born May 19, 1938 in Buffalo, New York to parents George F. Seedorf, Jr. and Evelyn Grace Seedorf who preceded her in death along with her husband, Mack Lee Smith. Survivors include her daughter, Laura Lee Stanford and husband Ernest; sons, Mark Lee Smith and wife Jennifer, and Michael Lee Smith and wife Carol; brother, Joseph Seedorf; grandchildren, Ethan Stanford and wife Hang, Colin Stanford, Dustin Smith, David Smith, Devin Smith, Kyle Smith, Claire Smith and Makayla Smith; along with numerous other relatives and friends. Services will be held at 11:00 a.m., Thursday, April 11, 2019 at Pace Stancil Chapel, Cleveland, Texas. Interment will follow at Holly Grove Cemetery, Livingston, Texas. To send flowers or a remembrance gift to the family of Grace JoAnn Smith, please visit our Tribute Store. Interment will follow at Holly Grove Cemetery, Livingston, Texas. "Email Address" would like to share the life celebration of Grace JoAnn Smith. Click on the "link" to go to share a favorite memory or leave a condolence message for the family.